transformed with SNAIL (right) or an empty vector control (left). overexpressing SNAIL are more elongated. More than 90 percent of cancer-related deaths are caused by the spread of cancer cells from their primary tumor site to other areas of the body. A new study has identified how one important gene helps cancer cells break free from the primary tumor. A gene normally involved in the regulation of embryonic development can trigger the transition of cells into more mobile types that can spread without regard for the normal biological controls that restrict metastasis, the new study shows. Analysis of downstream signaling pathways of this gene, called SNAIL, could be used to identify potential targets for scientists who are looking for ways to block or slow metastasis. The study was published in the Journal of the Federation of American Societies for Experimental Biology (FASEB). The researchers show how overexpression of the gene SNAIL in vitro allows breast cancer cells to operate independently of the mechanics of the environment inside the body. Growing evidence suggests that cancer cells metastasize by hijacking the process by which cells change their type from epithelial (cells that lack mobility) to mesenchymal (cells that can easily move). 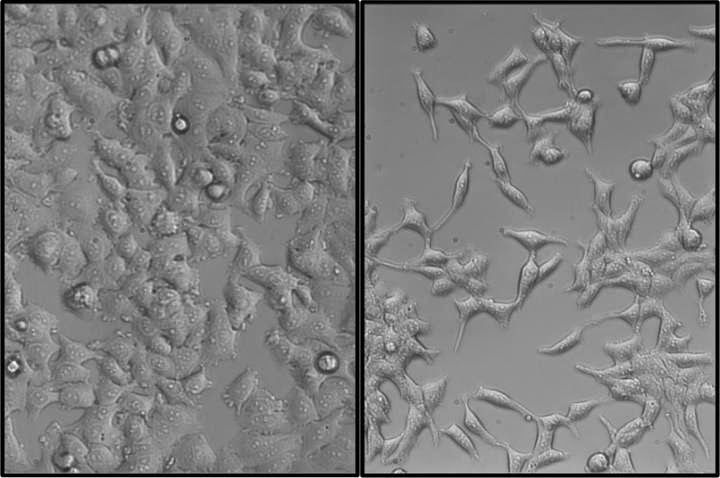 In the new study, the researchers examined the biophysical properties of breast cancer cells that had undergone this epithelial to mesenchymal transition (through overexpression of SNAIL). The researchers used microarray analysis to examine changes in genes related to the observed biophysical changes. They found that regardless of the substrate that the cells were grown on, cells that overexpress SNAIL look and act like aggressive cancer cells. The researchers hope that their unique blend of microarray analysis and characterization of physical changes in breast cancer cells undergoing metastasis could aid the search for ways to block or slow the spread of cancer.